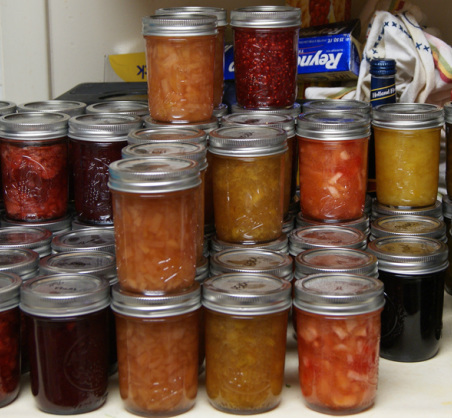 TIP- Sugar does NOT preserve the fruit in jam making/canning. Preservation is through clean jars and the canning process/water bath technique. SO, cook any fruit - with no sugar and very little water. Then preserve it in sterilised bottles/jars with a very good seal. with juice of one large lemon and 4-5 tsp Truvia or 5 shakes of NuStevia. Let this sit in fridge for several hours or overnight. Bring to boil in small sauce pan. Squash berries with potato masher or wand/stick mixer. Add a splash of vanilla extract and almond extract. Add a dash of red pepper flakes and simmer until it coats the back of a spoon. Add 1 pkg non flavored gelatin, simmer a few minutes. Remove from heat and cool about 15 min. Transfer to canning jar, place lid on jar and cool to room temp then refrigerate. Know Jelly/jam is done when you drop some on a cool saucer, tip it sideways, it will stop running. 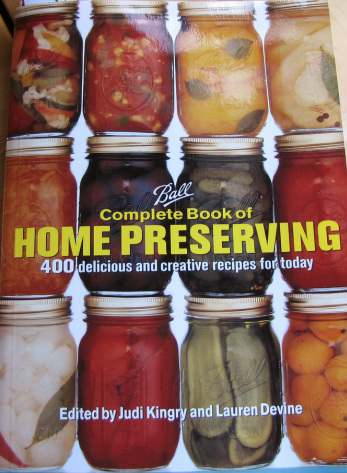 If preserving raw fruit n veg, then boil filled jars in canning pan. 3 sticks butter (3/4 lb), softened, 1 tsp vanilla. Heat sugar, cream and honey-Boil for 1 minute. Put butter in food processor, and pour hot mixture over butter. Blend well. Pour into container, cool in fridge. Keep refrigerated. Preservation is achieved through clean jars, canning process and water bath technique. You could just add hot water to the jars if you want no sugar. Sugary fruit is an acquired taste. we can reduce sugar until we don't miss it. No sugar is needed for apples, pears, apricots, peach, mangoes, pineapple, kiwi, orange.